Exactly one week ago I've blogged about the book that I am currently reading i.e. Building Wealth Through REITS, I've surprised myself about the speed of my reading and have just completed the book (within a week)! It is a rare achievement for me as I am a slow reader. As promised previously that I will write a review about this book (2014 edition), hence this post. 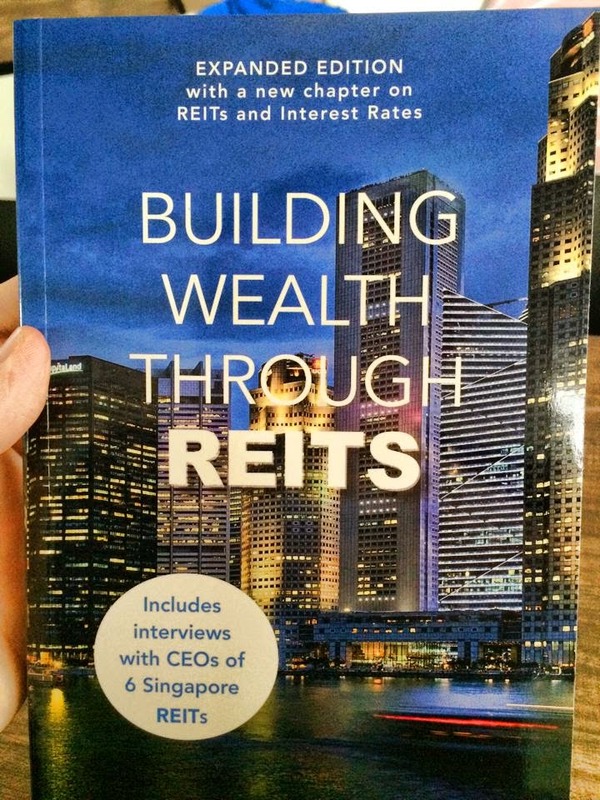 Being a newbie to REITS (Real Estate Investment Trusts), this book provides an wholesome fundamentals of REITS, from the common structures of REITS to how to evaluate the value of REITS. I like the way the author (Bobby Jayaraman) put across the points in layman term and use existing REITS to further illustrate his points. It is definitely a book for newbies but if you are already by-passed the newbie stage, this book will only serve as a recap to you. The only "complaint" I have about the book is the chapter on "Evaluating the REITS". It is too brief! It would be perfect if more detailed examples can be shared in the chapter. Having said that, I've gotten what I want from the book (i.e. fundamentals of REITs), what's next for me is to create a personal checklist on REITs so that I can apply what I've learnt later. Have you read any good personal financial book recently? Care to share on your review?